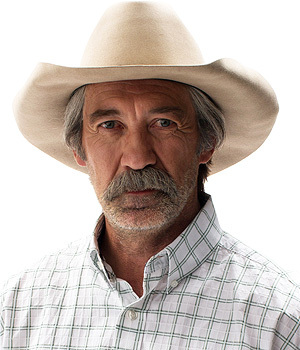 Shaun Johnston pictured as Jack Bartlett in a publicity still from the CBC series, Heartland, a role he has played since the its first season in 2007. Johnston was born and raised in Ponoka, about an hour south of Edmonton, Alberta. He played basketball in high school, earned a degree in business from Red Deer College and worked for a time with the Alberta Treasury Branch. 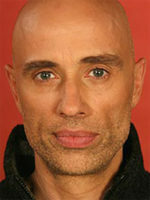 He tired of business and chased a career in fashion photography in Toronto in the early 1980s. With no real success behind the camera, he began to get work in front of the camera as a runway model. It was here that he turned his attention toward a career as an actor. He enrolled and graduated with a Bachelor of Fine Arts in the University of Alberta’s acclaimed drama program. Following graduation, Johnston co-founded the Shadow Theatre in Edmonton and made his first professional appearances on stage. 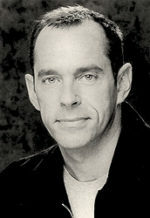 He made his feature film debut playing a loose-living biker in the 1993 comedy-drama Two Brothers, a Girl and a Gun, which brought him an Alberta Film & Television Award for best actor.